Windows 8 is edging closer to release with major tablet manufacturers scrambling to get in on the action in order to ship slates running an ARM version of Windows for the very first time. That is, except for HTC, who might not be quite so lucky after sources familiar with the matter told Bloomberg that the Taiwanese phone maker has been cut out of initial wave of ARM tablets. According to the unnamed sources, Microsoft deliberately locked HTC out of the development cycle fearing the handset maker lacked experience and wouldn't sell enough units. "Every consumer knows about Samsung's Galaxy platform and the iPhone, and you are starting to see consumers coalesce around them," said Matthew Thornton, an analyst at Avian Securities LLC, following yesterday's decision by the firm to cut HTC's credit rating to negative. "Things just get worse from here. It's a very bleak outlook." Microsoft's tough stance will prevent HTC from releasing a Windows 8 ARM-powered tablet when the new operating system launches, at a critical time when the software giant wants to go head to head with Apple. 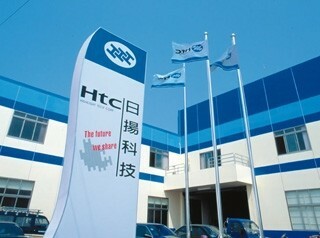 It's believed HTC will release its own Windows 8 tablet after the first wave ships. In an emailed statement to Bloomberg, Microsoft spokesperson Frank Shaw said, "HTC is a strong partner now and in the future," although he declined to comment in further detail about the revelations by the unnamed sources. HTC also responded in an email, "HTC intends to support future versions of Windows and isn't commenting on the details of its product plans," said spokeswoman Sally Julien.